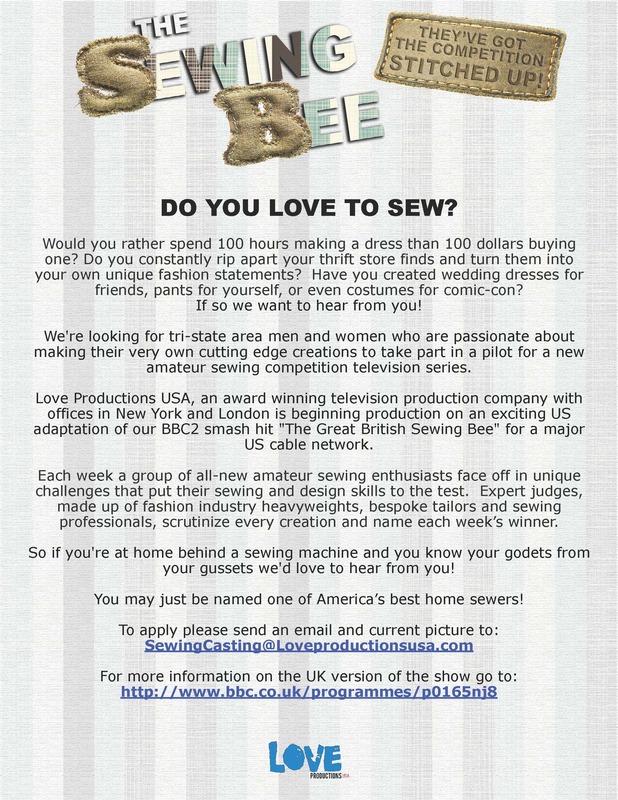 Not long after I posted about The Great British Sewing Bee casting call, I received another email informing me that The Sewing Bee is coming to the US! They are looking for sewers in the NY area of which there seem to be no short supply. The casting call ends fairly soon, so if you are interested, get your applications in fast! Interviews are being conducted over the next two weeks so speed is of an essence. Good luck to all who apply! Categories: Contests and Giveaways | Permalink.